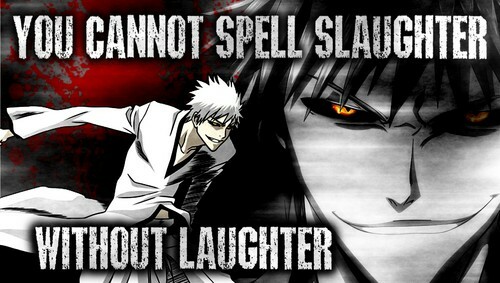 "You cannot spell Slaughter without Laughter". 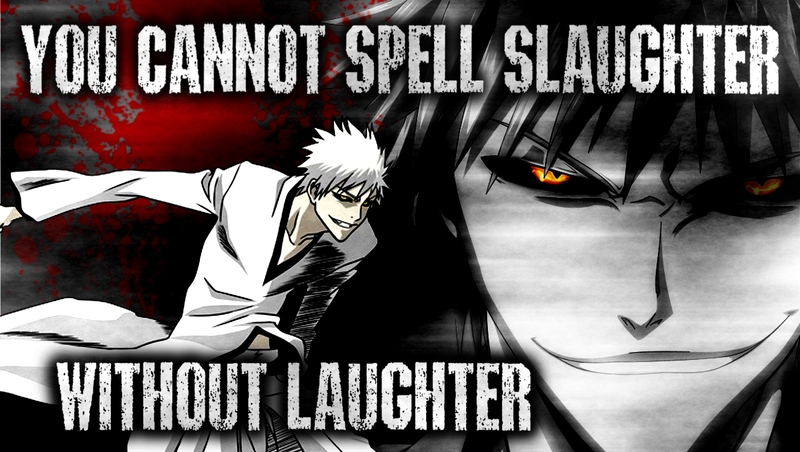 No maoni . . . . .. HD Wallpaper and background images in the DarkCruz360 club tagged: anime bleach cruz darkcruz360 hichigo hollow ichigo. This DarkCruz360 photo contains anime, comic kitabu, manga, cartoon, and mkono.